Sleeping pills, sedatives, and synthetic sleep aids are commonly prescribed to treat insomnia. Over 38 million prescriptions were written for Ambien, a popular sleep aid, during the years 2006 – 2011. To kick a sleeping pill habit or addiction, sleeping pill withdrawal should be prepared for. Sleep deprivation is a form of torture, and a lack of sleep can severely impact a person’s quality of life. Their job and relationships may suffer, and a lack of adequate sleep has been shown to negatively affect a person’s immune system and ability to fight infection. New research shows that the brain begins eating itself when someone is chronically sleep deprived. Furthermore, a lack of adequate sleep can worsen or trigger mental health problems, such as depression and anxiety. For people who suffer from sleep problems and disorders, sleeping pills are a godsend. But, they also have a dark side. Sleep aids can be addictive, and when someone who’s addicted quits taking them, they will experience rebound insomnia, making it even harder to stop the addiction. Sleeping pills are readily available, and doctors usually prescribe them for only short-term help since they have addictive qualities. With such easy accessibility, it’s not hard for people to become addicted. In fact, most people don’t realize they’re addicted until they try to stop taking the pills and experience rebound insomnia and other unpleasant physical and emotional side effects. Sleeping pills can cause labored, shallow breathing, leading to dangerous seizures, coma, and death. Although the risk of overdose is rare, people who abuse sleeping pills can develop a condition called parasomnia. Parasomnia is a sleep disorder wherein a person will sleepwalk. They may eat while asleep, drive, or even try to attack or assault another person. During parasomnia, the person is unaware of what they are doing and may have no recollection of it. People with parasomnia are at increased risk of harming themselves or others. They may also experience unexplained weight gain, which can cause further health problems. If someone is struggling with a sleeping pill addiction, there is help. Medical detox facilities and inpatient rehab centers are staffed with knowledgeable doctors and trained therapists that can help people successfully beat an addiction to sleeping pills. Sleeping pill withdrawals can be painful and long-lasting. The following article will explain the timeline for withdrawals, and what help is available in a medical detox setting for people in recovery. What is the timeline for sleeping pill withdrawal? Four phases make up the sleeping pill withdrawal timeline, and each phase comes with its own unique cluster of physical and emotional symptoms. There are also several factors which will determine how long someone will go through withdrawal. 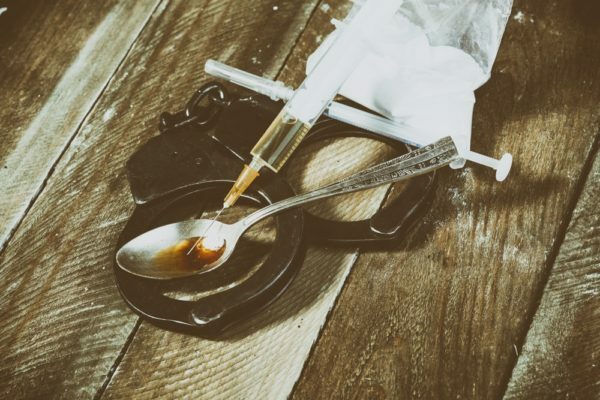 Their age, weight, metabolic rate, how long they’ve been addicted, and if they have any underlying physical or mental health issues all contribute to the length of withdrawal. Phase one will begin a few hours after cessation and lasts for the first 72 hours after someone stops taking the pills. Phase two will last about one week to ten days, where physical symptoms peak and the user is at the highest risk of relapsing if they don’t have adequate support. Phase three is when physical symptoms begin to dissipate, but emotional turmoil may arise during this time. This phase lasts for another two weeks. During phase four, users may experience intermittent cravings or severe depression which can linger for months after the cessation. 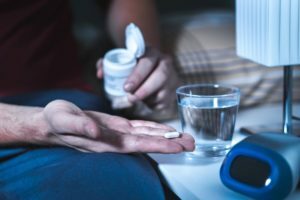 People who are recovering from a sleeping pill addiction need adequate support in place to help them stay sober, and to treat any depressive episodes. Without treatment for depression, patients may self-harm or commit suicide. These symptoms manifest during the first 24 to 72 hours after cessation and peak around the one week mark. They may linger for up to three weeks after the last dose of sleeping pills was taken. These physical symptoms can trigger anxiety and panic attacks in some users. What emotional symptoms occur during the withdrawal phase? Patients will experience generalized anxiety, and sometimes go on to have full-blown panic attacks once they stop taking sleeping pills. Patients will also experience rebound insomnia. Confusion and hallucinations may occur, and depression may start to manifest about three weeks after cessation. 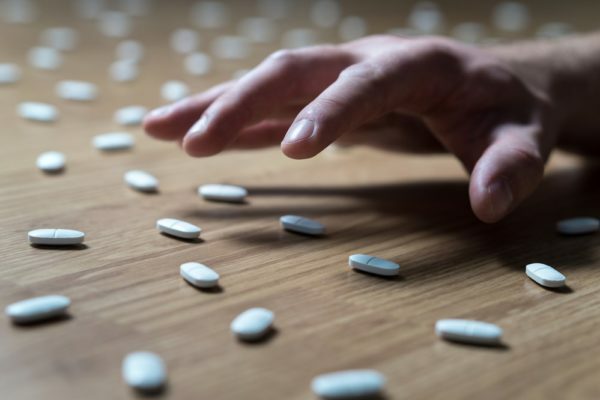 If people don’t get help for their sleeping pill addiction, they can experience deep, clinical depression, putting them at-risk for relapse and suicide. Can someone quit sleeping pills cold-turkey? It’s not safe to quit sleeping pills cold-turkey. In fact, abrupt cessation can make withdrawal symptoms much more intense and longer lasting, and it’s much harder for the person to navigate the process if they are alone. Also, the emotional and psychological symptoms of withdrawal can be severe for family and friends to manage. In a medical detox center, trained staff is available 24/7 to help people going through a sleeping pill detox. In a medical detox facility, doctors can slowly taper off the dosage of sleeping pills or replace them with a safer medication. Doing so prevents or lessens the risk of a patient developing rebound insomnia. Rebound insomnia is almost unbearable, and without proper help, patients can relapse or develop dangerous hallucinations while experiencing rebound insomnia. Tapering off sleeping pills or replacing them with a safer, alternative medication is safe during detox. Also, doctors can prescribe mood stabilizers, anti-anxiety medication or antidepressants for patients who experience psychological distress. In a rehab facility, therapists are also available to help patients navigate any emotional difficulties. Patients can also take medication to help with stomach pains and nausea. It’s not safe for someone to abruptly stop taking sleeping pills, nor is it safe to be self-medicating with alcohol or other dangerous drugs. People who try to quit at home and without the support of trained professionals are at increased risk of self-medicating the painful side effects. If this happens, they can accidentally overdose, or develop serious medical complications. It’s also not safe for people to try and quit sleeping pills without working with a trained therapist. Patients with persistent insomnia are almost three times as likely to develop depression than the general population. For those with a sleeping pill addiction, the risk is even higher. In fact, over half of all people who go to rehab for drug addiction also have clinical depression. Sometimes, it’s difficult for doctors to determine which came first – the depression, or the addiction. But without help from trained therapists, patients will continue to struggle with comorbid mental health issues. What happens during the sleeping pill withdrawal process? During the withdrawal process at a detox facility, a team of doctors accesses and monitors patients for underlying health problems. Vitals are also observed for signs of physical distress or medical complications. First, doctors will begin a tapering off schedule based on the patient’s history and unique medical needs. Over the next several weeks, they are kept in a serene, comfortable environment as the drug works its way out of their system. Patients are also encouraged to work with counselors, therapists, and social workers to address current and unmet psychological needs. It takes time to find the right medication for people who are recovering from addiction and have a comorbid mental health condition. In a facility, patients have access to a doctor 24/7. There is less of a wait, and less inconvenience when trying to find the right dose or medication for an individual. Also, therapists can tailor-make treatment plans, so patients have maintenance in place for when they begin to live a sober life outside of the facility. Like any other chronic illness, drug addiction can be managed successfully. A person with diabetes does not go in for initial treatment and then never speak to a doctor again once stabilized. They must keep going back to manage their condition. It is the same for drug abuse and addiction. Addiction is a disease, and without ongoing treatment, patients will continue to struggle and suffer. But, there is help for those who want to get better. If you or someone you know is struggling with the disease of addiction, please get help. Speak to a licensed rehabilitation counselor today and see what resources are available for you or a loved one.